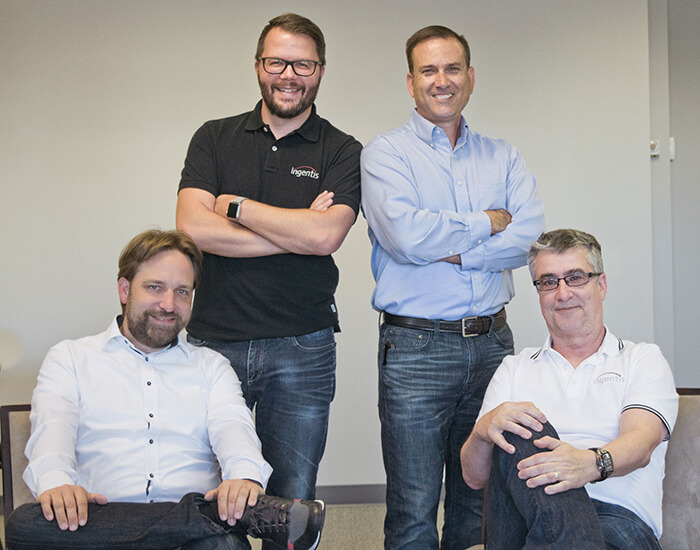 PETALUMA, CALIFORNIA, USA – This summer, Germany-based Ingentis Softwareentwicklung GmbH founded the subsidiary Ingentis Inc. The corporation represents a closer point of contact for the growing number of potential buyers, customers and partners in North America. Headquartered in Petaluma, California, Ingentis Inc. will offer support and guidance for implementing its solution and HR add-ons. The driving idea when founding Ingentis in Germany back in 1997 was to create software that users would embrace thanks to its automation and ease of use; thus freeing key HR staff and business partners for more essential tasks. Based on its proven capability to deliver immediate ROI by driving more informed HR decisions through advanced data visualizations, Ingentis growth continues worldwide. The flagship product, Ingentis org.manager, is currently licensed by more than 1,300 companies around the globe – and counting. “As demand for our software continues to gain momentum, particularly in North America, we decided to found Ingentis Inc. It is the next logical step to build our local presence in the USA and Canada”, explains Michael Grimm, one of the managing directors of Ingentis GmbH. While all of four founding and managing directors function on the company’s board of directors, Grimm has taken on the position of CEO for Ingentis Inc.
Grimm and Bruner are joined by Thorsten Gorny who has been involved with Ingentis for many years and will now help establish the North American operations. Due to his consulting expertise, he is the perfect fit for the role of Vice President Consulting & Customer Success at Ingentis Inc. “My objective is to drive customer satisfaction with unparalleled consulting and implementation services to increase our value proposition with our valued customers”, Gorny stated. John Kranz will also be soon joining the team. He comes with 12 years of product management experience in Talent Management, HCM Reporting, Analytics and Org Charting solutions. First chance to meet Ingentis Inc. This September, Ingentis will be a participating vendor in Las Vegas at SuccessConnect (Aria Resort & Casino) and at the HR Technology Convention (The Venetian). Both events take place from September 11 to 13. The team looks forward to giving visitors live product demos of org.manager as well as of other Ingentis applications such as the recruitment software Ingentis easy.pes, Ingentis distribution.list for the creation of intelligent distribution lists, or orginio, our SaaS org charting solution for small and medium-sized businesses. How to reach Ingentis Inc.